The Rosemary Bookkeeping franchise has excellent opportunities for growth based on your experience. Your success is linked to many factors such as your ability, determination and resources devoted to the franchise and how quick you grow your team and build your management model which is reflected in your earning capability. As an example, within the Rosemary franchise network we have franchise partners running the business, employing bookkeepers, focusing on maintaining and growing their client base and turning over £90,000+ per annum* with 50% profit margins. We have other franchise partners who run their businesses managing the clients and undertaking the bookkeeping themselves turning over between £20,000 – £40,000* with 61% – 77% profit margins. Of which, some run as a full-time concern and others devoting less hours to fit the business around their family commitments. Further details on earnings can be provided upon application. Please call our team on 0345 862 0072. * The figures and information set out do not represent any representation or guarantee or any other aspects will be achieved. 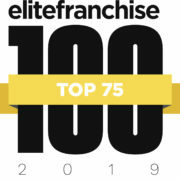 The success of each franchise is linked to many factors including location, ability and determination of each Franchise Partner and resources devoted to the franchise.